Coming up soon is Naropa University’s celebration of their 40th year. 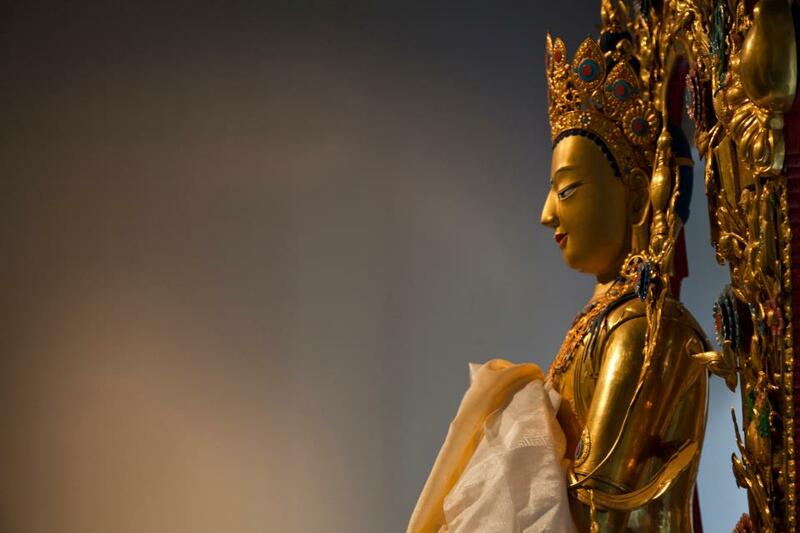 Naropa has assembled some of the world’s most influential practitioners and leaders to explore this compelling topic at their first ever Radical Compassion Symposium. The Shambhala Times teamed up with Retreat.Guru to pursue interviews with a number of these guest teachers. 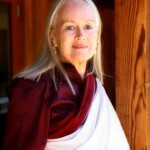 In this conversation, we met with Lama Tsultrim Allione who is an author and international Buddhist teacher, the founder and spiritual director of Tara Mandala, and well known for her teachings on feeding your demons as taught in the Chod lineage of Machig Labdron that Allione has practiced since 1973. We asked her to share the importance of such a practice in today’s world. “The way that I define a demon is something that’s taking your energy,” Lama Tsultrim Allione says as the three of us meet in a comfortable interview over Skype. She is sitting in her library at Tara Mandala and we feel we are sitting around a living room table with her, drinking tea. It is easy to talk with her, and the conversation flows effortlessly. Lama Tsultrim has offered a deep investigation about feeding your demons, so we ask her to explain a little bit more about the concept of “demon”. “Demons are based on ego-clinging, and they manifest as things like our addictions, our fears, grief, depression, anxiety, paranoia, long-held core issues, illnesses, pain, many different things.” In this sense it is important to remember these are not the Catholic type of demons you may see on television dragging you down to hell. They are more like mental demons as Lama Tsultrim describes it. They are maybe better described as mental entities who are named as demons so we can better work with them. It is not enough to just recognize there are demons, she says, they must be interacted with and understood. A dialogue between the self and the demons must be established. “And not only dialogue with them, but to feed them to complete satisfaction. 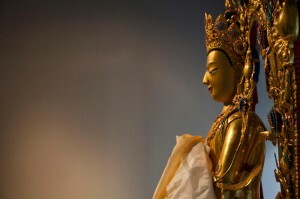 Machik Labdron said, ‘one take me, eat me is worth a hundred thousand protect me, save me.’ So her approach really is different.” A simple way to say it would be we are feeding not fighting. Feeding the demon therefore means actually becoming the demon. This is truly radical! “You don’t imagine what the demon would say,” Lama Tsultrim continues, “as you become the demon, you are able to answer those questions.” The ultimate expression of this practice is integration of the shadow, she says, “the shadow parts of ourselves, because those parts are being loved and cared for instead of rejected.” This creates an almost alchemical reaction. By feeding the demon, the demon transforms into an ally. Feeding your demons is truly a radical way to transform the demons of ourselves and of our society, creating a path of creation rather than destruction. Stay tuned for more conversations with Lama Tsultrim Allione, as well as conversations with Adam Bucko, Noah Levine and Jerry Colonna. 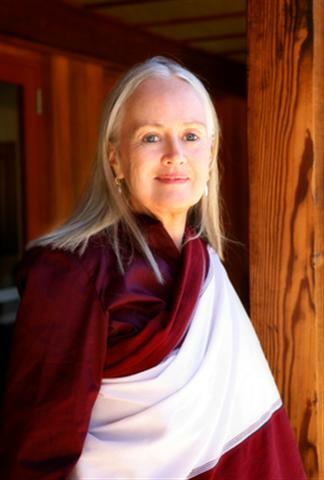 Lama Tsultrim Allione first traveled to India and Nepal in 1967, met Chogyam Trungpa Rinpoche in 1969 at Samye Ling and in 1970 she became one of the first American women to be ordained as a Tibetan nun. She was given her vows by the Karmapa, from the Karma Kagyu school of Tibetan Buddhism, who gave her the name Karma Tsultrim Chodron. Allione gave back her monastic vows four years later and married. She has given birth to four children, one of whom died from sudden infant death syndrome. Tsultrim Allione continued her studies and Buddhist practice, which led to the 1984 publication of her book Women of Wisdom, a collection of the stories of six Tibetan Buddhist emanations of Machig Labdron (founder of the Chod practice). 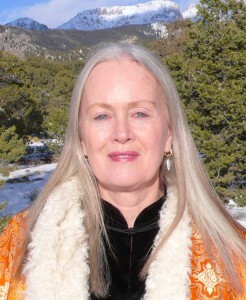 In 1993, with her husband, David Petit, Tsultrim Allione founded Tara Mandala, a retreat center in southern Colorado, in the United States. In 2008 Tsultrim Allione’s book Feeding Your Demons was published, an approach based on the Chöd lineage of Machig Labdrön that Allione has practiced since 1973. 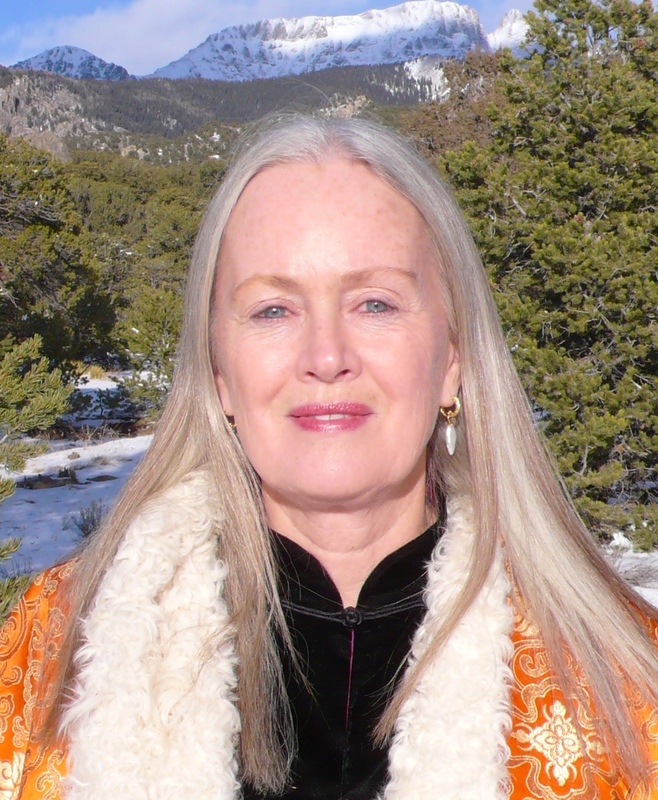 As well as offering retreats at Tara Mandala, Allione regularly teaches in the United States and in Europe. Seems like this practice is akin to “focusing” as taught by Eugene Gendlin and his student, David Rome. This makes so much sense to me, being on the edge of obese and morbidly obese, in my struggles with food I often think about feeding the thing that triggers the eating. I can never, with food, satisfy the hunger that triggers the eating, but I can, with awareness, try and feed the actual hunger. In one specific case, I see that I eat when there are fights in my family, whether involving me or just between my wife and the kids, and I have been working with feeding the anxiety that I attempt to calm down with food.